Our company is the leading manufacturer of Gas Fired Oil Electric Roller Hearth Furnaces which is a superb quality product. These products are durable and reliable in nature. Our Gas Fired Oil Electric Roller Earth Furnace broadly used by different kinds of application. These are easily available in market at reasonable price and also these products are long-lasting. 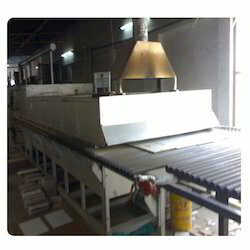 Looking for Ceramic Tile Decoration Furnace ?